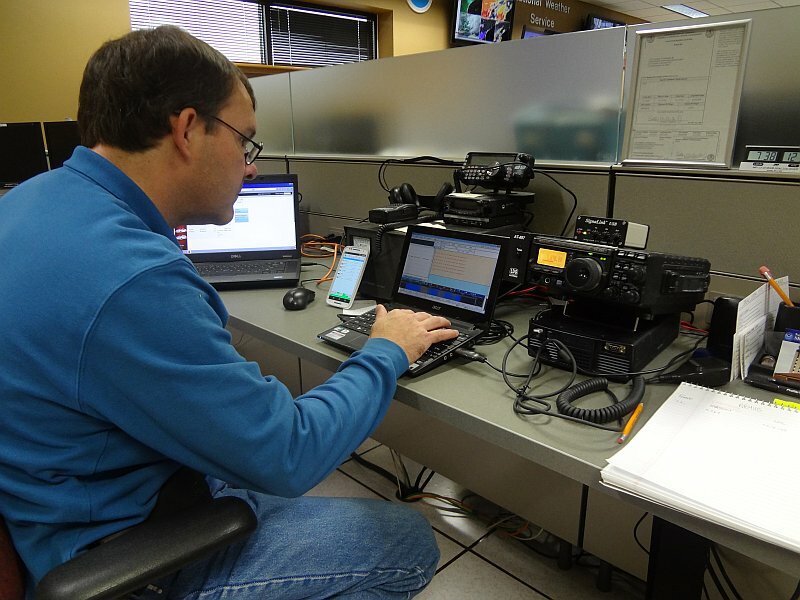 Had a good time playing radio as WX4CHS yesterday morning for Skywarn Recognition Day. The Charleston NWS office seems like a pretty neat place. Tom/AJ4UQ brought along his radio and setup for digital radio, and we spent the morning operating WX4CHS on 40m and 20m PSK as well as monitoring the local VHF repeaters. Made just under 30 PSK contacts and one repeater contact. This was my first time doing an event like this, and it was a lot of fun. Had a great time playing radio there, and the staff at NWS Charleston were great hosts.